The Monterey Stage Coach Lodge offers premium accommodation options in Monterey. 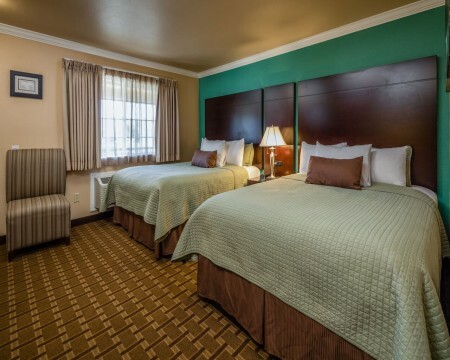 Our well-appointed Monterey Hotel Rooms will help you enjoy a luxurious stay in Monterey. 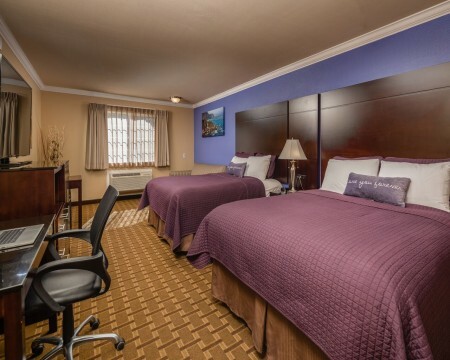 Whether you are a business traveler or you are on a vacation, we assure you that you will find our Monterey hotel rooms to be a choice you won’t regret for your accommodation needs. 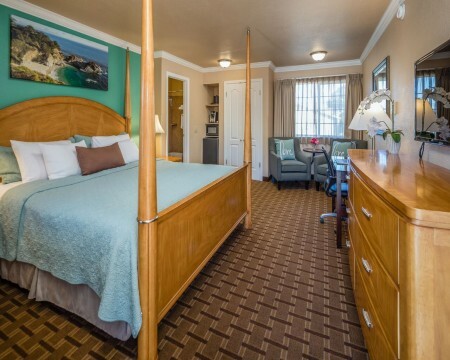 We have a variety of amenities to provide you with the most comfortable stay in Monterey. At the same time, at the Monterey Stage Coach Lodge, we are also very much aware of the fact that great hotel accommodations are not just a matter of cozy rooms and a variety of amenities, which we have, but the overall experience lies in serving every guest with a smile. We have a very friendly and helpful staff that is ready to go the extra mile to ensure that you enjoy your time in Monterey with a memorable stay. You will love our hospitality and our friendly services. 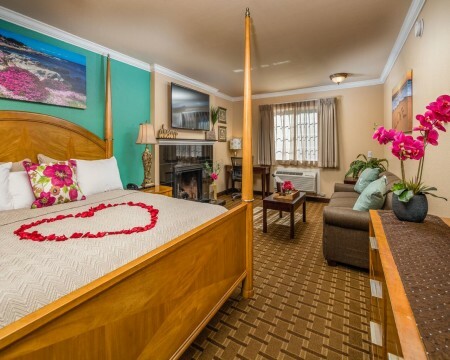 When it comes to Monterey hotel rooms, what sets us apart from the rest is that we pay attention to detail in our hotel rooms and in providing excellent customer service. You will find our service very thoughtful and at the same time very professional. We strive to keep customer satisfaction as our top priority at all times. 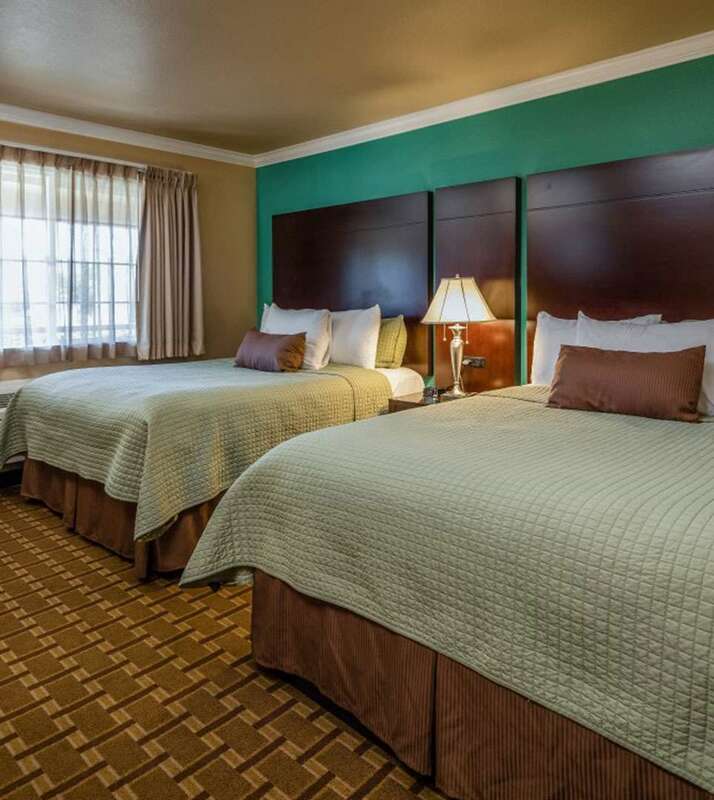 No matter what your Monterey accommodation needs are, we’re confident we have something to satisfy your needs. You will find our Monterey hotel rooms and suites very spacious and tastefully furnished. 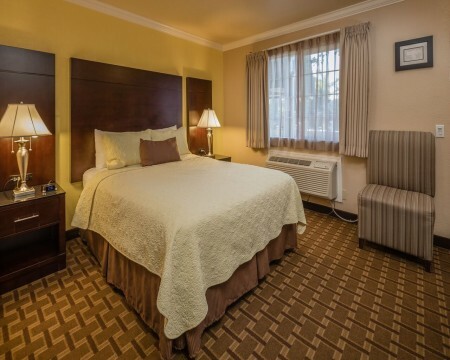 We feature exceptional hotel rooms in Monterey at the most affordable prices. Make your reservation today as you will find the lowest rates for the Monterey Stage Coach Lodge right here on our website. Our Double Double room is our standard room that can accommodate up to 4 persons in air-conditioned comfort. Perfectly appointed for a small family or group with two double beds, 42 inch Flatscreen LCD HD TV w/HBO, micro-fridge, Keurig coffee maker, iron/ironing board, hair dryer, and full bath with granite surround. Free local calls. The Double Queen bedroom offers all the amenities of the Queen bedroom, but have much more space, making it ideal for families. Four persons can be accommodated in the Double Queen configuration in air-conditioned comfort. Each room has a 42 inch 1080i HD TV, built in safe, iron/ironing board, Keurig coffee maker, microwave/fridge, free local calls, and a granite bathroom with a full bath and hair dryer. 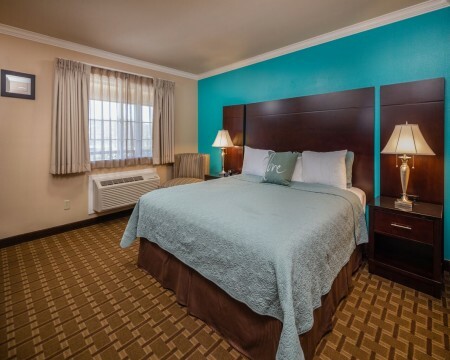 Our Deluxe King is larger than our standard king and offer spacious accommodations with a California King sized bed. The Deluxe King has a small sofabed and a breakfast area with a 42 inch HD flat screen TV. The room boasts a large granite bathroom with a full bath. The room includes a microwave/fridge, Keurig coffee maker, iron & ironing board, free local calls, and built in safe. The Double Queen Deluxe is adjacent to our Honeymoon Suite. A large and spacious air-conditioned family room with two queen size beds and modern amenities make this a perfect room for a big family. The Double Queen Deluxe boasts a small sofa, 42 inch HD flat screen TV, free local calls, breakfast area with a Keurig coffee maker, a microwave and refrigerator, and built-in safe. The Deluxe Room has a large granite bathroom with full bath and hairdryer. 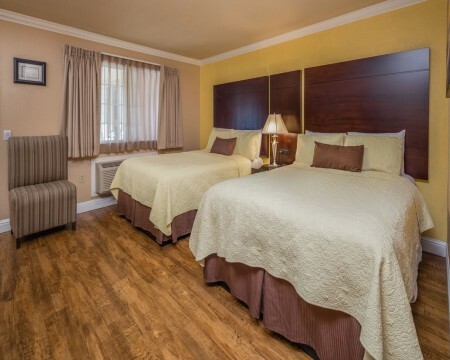 Our Queen Accessible room is wheelchair accessible with a shower and grab bars to assist with mobility. The room is spacious and offers a queen sized bed that can accommodate 2 persons. The room's closet has a 42 inch HD LCD TV, built in wall safe, luggage rack, micro-fridge, free local calls, and a Keurig coffee maker.